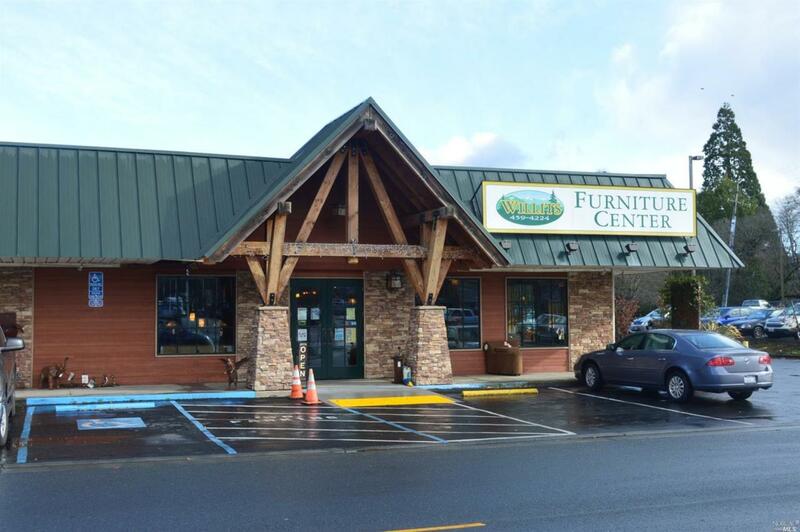 Willits Furniture Center has been a successful business since it was opened in this location in 1978. It is located in a high traffic area next to the Safeway store/strip center and Coast Hardware. The corner lot location provides good street front visibility with ample parking. The 8,140 square foot building is ideal for a business needing a large open showroom or any other business needing a large space with good visibility. Listing courtesy of Randy Weston of Summit Realty.